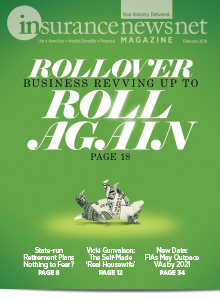 InsuranceNewsNet Magazine serves the two parts of your brain and business. We give you the wonky news you need to know and the sales insight that you crave. 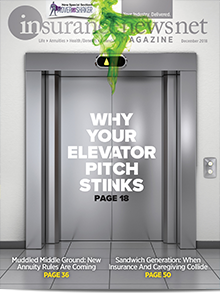 The science and art of sales, in one magazine. Think of it as a nutritious meal topped with a delectable dessert. 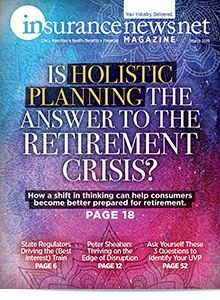 Why Get a FREE Subscription to InsuranceNewsNet Magazine? •	Original, ground-breaking news articles aimed at bringing a unique perspective on today's most important life, health and annuity topics. •	Easy-to-navigate format for busy and successful advisors. •	Candid insights from some of the greatest minds in the industry. •	The most exciting read in the business recognized by peers with two dozen prestigious editorial, design and marketing awards. 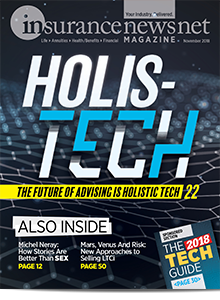 InsuranceNewsNet Magazine has partnered with MDRT, LIMRA, NAIFA, NAILBA and The American College to give you exclusive, original content from each association in a unique, valuable format. 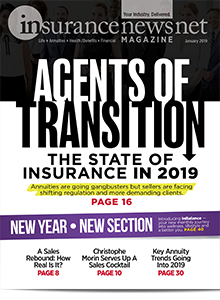 Ultimately, InsuranceNewsNet Magazine will save producers time and money and wasted effort trying to wade through page after page of the same old articles and ads pushing the same old stuff. Our goal is to deliver something that is unique, an approach summed up by our deep dedication to helping producers increase their profits with critical industry information and real strategies that are proven to boost business. 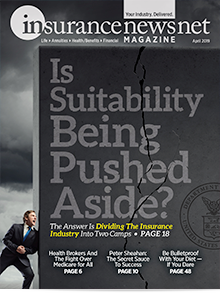 By subscribing to InsuranceNewsNet Magazine, you get your industry through a single source.